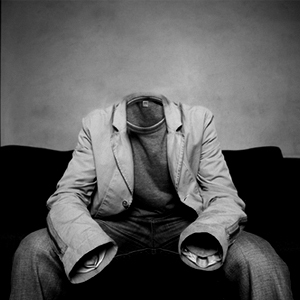 Have you ever noticed some people who seem to be present, can also seem to be invisible? Or sometimes they’re loud, and at other times they’re so quiet, they’re not even noticed…? Alif can do the same. Did you ever know? Find out below..
Now let’s note two special cases. The word qawaareeraa in surat Al-Insaan, verse 16 is never pronounced as a long vowel when stopping. And it is always pronounced with a fat-ha when continuing. This also applies for all the occurrences of the word “thamood” (that contain this silent alif). Note, these documents are found on the resources page. At noon, you look up and see the skies are clear, you notice the mirror shines, free of marks, the glass on the bench twinkles as it catches some light, a perfect picture. Can anything be so perfect and clear? Noon, maybe? Recall the post Al-Noon Al-Saakinah: Rule Four, Al-Idghaam. There we noted that if the letters laam, raa, yaa, noon, meem, or waaw followed a noon saakinah, idghaam (with or without ghunnah) must be sounded. But there was a very particular condition which stated that this can only occur over two words, never in one. Ith-haar Al-Mutlaq may be literally translated to “Showing Absolutely”, so basically, totally pure and perfect pronunciation of the noon letter. This tajweed rule applies for those times when a noon saakinah is followed by one of the above letters, but within one word. That’s all for this rule. Just a side note, sometimes it’s also named shaath. Hamzatul Qat’: the cutting hamzah is represented by the following symbol ( ء ). It should not be mistaken with the letter alif ( ا ), but it should be noted that it often occurs on the alif ( أ or إ ). This post will cover some general rules about the hamzatul qat’, while also taking a close look at the letter itself. The hamzatul qat’ sound is produced by cutting off the air stream at the top of the windpipe (then letting it go for a breath, of course!). It is similar to pressing the stop button on a tape player in mid-word. The hamzatul qat’ also appears on the three voweled letters, and on a spike (commonly referred to as a “chair”) of it’s own. From the above, we can observe that whenever a hamzatul qat’ enters on a harf madd, the harf madd is not sounded, rather the 2 vowels are cut simply into a fat-ha, dammah, or kasra. After all, it is the cutting hamzah! Let’s observe some of the tajweed rules involved with this hamzah. When the hamzatul qat’ is preceded by a hamzatul wasl, there are two rulings. There is one occurance of this in the Quran (where a hamzatul qat’ precedes a hamzatul wasl). This word has the “ease of pronunciation” rule applied to it, because it is very difficult for the tongue to pronounce. It also ties in with the grammar rule about the impermissiblity of two saakin letters being together. It would be impossible to say it with both saakin on the hamzatul wasl and the ayn, as the hamzatul wasl cuts off the air way, which prevents the tongue moving back to make the silent ayn sound! Try it for yourself: block off your airway with your tongue, then move it back to say a slient ayn, and notice that your tongue cannot be at 2 places at the same time. As a final note, remember that hamzatul qat’ and qalqalah are complete opposites. Many people who stop at a word ending with a hamzatul qat’ will sound a small “ehh” qalqalah. Remember that qat’ means to cut, so you must cut off the airway AND cut off the sound. If, on your fingers, you feel a small amount of air being released at the end of the word, then you must be sounding this qalqalah (because the airway passage wasn’t cut off). Keep practising until you no longer feel this breath of air. 2. Record your voice for a few seconds, as you say “aaaa”. Play it back, and mid way hit the stop button. Compare that to what you sound like after saying a word that ends with hamzatul qat’. If you can notice that “ehh” sound, then you are not fulfiling the rights of this letter. Which means only one thing: practice. For those who may be familiar with something called ishmaam and rawm, then I know what you’ll be protesting about. But that’s to discuss in another post. Follow this link to view this blog's complete tajweed rules index. just letting my visitors know that I don't endorse any of the ads generated by wordpress that appear on my site. I'd rather they didn't appear, and that they didn't advertise things I disapprove of!